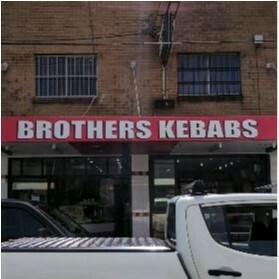 Brothers Kebabs joined our Mission to help provide access to “Clean Water for All by 2030”. This Mission was initiated by the United Nations. A big thank you to Brothers Kebabs’s team and customers for joining this extremely important mission on 13 December 2017. "Great kebabs at affordable prices. Service is very efficient and the food it delicious. They're open very late, it's good for times when you get hungry at mid-night; always a good choice."